You can expect the unexpected when they play ...Charade. A young American in Paris (Audrey Hepburn) flees a trio of crooks who are trying to recover the fortune her late husband stole from them. The only person she can trust is a suave stranger (Cary Grant). A deliciously dark comedic thriller, Stanley Donen's Charade dazzles with style and macabre wit to spare. 1963’s Charade opens with a violent event, as we see a body thrown from a moving train. After the opening credits, we head to the European mountains where we again see the possibility of bloodshed as someone aims a gun at a lunching Regina Lampert (Audrey Hepburn). However, this turns to goofiness as we see a little boy shoot her with his water pistol. Regina confides in her friend Sylvie Gaudet (Dominique Minot) that she wants to divorce her wealthy husband Charles because she doesn’t love him anymore and vice versa. She also feels Charles is hiding something from her. 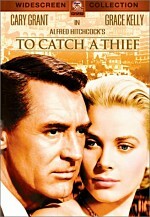 Regina meets Peter Joshua (Cary Grant) when he returns the misbehaving boy to his mother Sylvie. Regina and Peter flirt but nothing seems to come of it as they both need to return to Paris. When Regina gets there, she finds her home totally emptied of all its furnishings and other objects. Police Inspector Edouard Grandpierre (Jacques Marin) soon happens on the scene and reveals to her that someone killed Charles; his was the body tossed from the train. The plot thickens when Inspector Grandpierre indicates that Charles possessed a ticket to go to Venezuela, but Regina knew nothing of that. He reveals that Charles sold everything in their home just a few days earlier, but no one knows the whereabouts of the proceeds. Matters complicate more when the Inspector reveals that Charles possessed many passports issued by different countries. After he hears of the events in the paper, Peter stops by to console Regina. Few attend Charles’ funeral, but a steady stream of suspicious characters eventually arises, most of whom come to make sure he really died. Regina also gets a note that requests she stop by the American embassy to discuss Charles’ death. She chats with Hamilton Bartholomew (Walter Matthau), who states that he works as an administrator for the CIA and reveals that the US government wanted to capture Charles, whose real name was Voss. Bartholomew shows Regina a war-time photo that depicts Charles with the three shady personalities from the funeral. He warns her that these nasties may come into contact with her, and not in a positive way, as they want Charles’ money. Regina protests that she doesn’t know the whereabouts of the money, but Bartholomew insists she can gain access to it somehow, such as via a hidden key. Regina turns to Peter for help, and he attempts to brighten her dismal mood. However, during fun at a nightclub, she receives a threat from Leopold Gideon (Ned Glass), one of the men involved, and Tex Penthollow (James Coburn) follows up on this. Eventually Regina also encounters the third member of this vicious trio, Herman Scobie (George Kennedy). Peter pesters her to spill the beans, but Regina attempts to keep matters secret due to Bartholomew’s advice. These elements set up the rest of the film. From there, we watch as the events unfold. We see what happens to Regina due to the various threats and plots, and we also examine romance unfold between Peter and Regina. Probably the most unsavory aspect of Charade stems from the age difference between Hepburn and Grant. He was 25 years her senior, and the gap shows. Granted, we’ve always seen a lot of that in Hollywood, and the trend continues to this day, but it still comes across as a little creepy at times. That slight misstep aside, Charade fully deserves its stellar reputation. The movie plays well as both mystery and dark comedy, for it never tips its hand too much in either direction. It has a lot of fun with thriller conventions, particularly in the sinister performances from the thugs out to get Regina. We often don’t know who to believe or where to turn, and Charade makes those elements work well. In addition, the film plays out the comedic elements nicely. It definitely takes a dark turn much of the time, such as during the cruelly funny funeral sequence. The movie grows more serious as it progresses, but it never loses its inherent sense of humor. The performances help hold it all together. Despite my misgivings about the age differential, Hepburn and Grant interact well together. They demonstrate a nice chemistry and feel believable as a couple for the most part. The supporting cast also seems excellent, as a long roster of noted character actors adds immeasurably to the quality of the film. Really, there’s little here about which to complain. Charade seems bright and lively, as it takes us down a winding path that presents fun twists and turns at every opportunity. The film keeps us on our toes and always guessing, and it also seems brisk and amusing. It never takes itself too seriously and it manifests a nice feeling of pep and verve. A winning dark comedy and mystery, Charade fares well across the board. 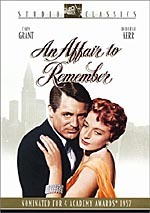 Charade appears in an aspect ratio of approximately 1.85:1 on this single-sided, double-layered DVD; the image has been enhanced for 16X9 televisions. This DVD replaces Criterion’s old non-anamorphic version of Charade. I never saw that one, but I did think the new release offered a generally solid picture. Charade started poorly, as the film’s pre-credits prologue looked bad. However, it made marked improvements once the movie proper began, and maintained a nice image the rest of the way. Sharpness usually came across well. The movie mostly displayed good clarity and definition, though some wide shots displayed minor softness. I detected virtually no signs of jagged edges or moiré effects, but some light edge enhancement cropped up and displayed minor haloes. Print flaws came across as fairly insubstantial for a film of this era. I noticed occasional examples of marks and specks, but those didn’t show up frequently. For the most part, the image looked pretty clean. Colors appeared quite strong most of the time. The tones largely looked accurate and distinct, and they showed no signs of bleeding, noise, or other issues. Instead, they appeared true and resolute. Black levels also seemed very deep and rich, while shadow detail was appropriately heavy but not overly dense. The edge enhancement, mild softness and occasional print flaw knocked my grade down to a “B+”, but I still felt satisfied with this transfer. The monaural soundtrack of Charade seemed decidedly ordinary. Speech was somewhat flat but always remained acceptably clear and intelligible. The lines came across as a little too dull to be natural, but they presented no discernible problems. Some weak dubbing popped up at times to make the speech less well integrated than I’d like. Effects seemed clean and failed to display distortion or other issues, but they also lacked much range, as they appeared a little dense and thick. Music appeared listenable but favored the midrange elements and didn’t come across as particularly dynamic or rich. Much of the time the sound simply seemed somewhat too muddy. The audio always stayed clear, but the lack of much range made Charade a very average track for its era. A smattering of extras round out Charade, all of which apparently showed up on the prior DVD. 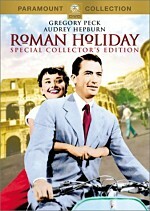 The main one provides an audio commentary with director Stanley Donen and screenwriter Peter Stone, both of whom sit together for the running, screen-specific chat. Originally recorded for the prior DVD, the pair offer a winning discussion. They cover a mix of subjects related to the film and often amusingly bicker about these. Stone dominates as we learn about the script’s origins and its circuitous path to the screen. We also find notes about the actors, locations and other elements plus plenty of anecdotes and interesting trivia tidbits. Two of the better moments revolve potential alterations. Charade was supposed to hit screens in late 1963, and since it included the word “assassinate” twice, they dubbed the word due to appropriate sensitivity after the killing of President Kennedy. Not only do Stone and Donen discuss this, but they argue about which version appears on the DVD. Interestingly, Donen argues that even though he originally intended it to be “assassinate”, its replacement “eliminate” is what the movie should include since that’s what appeared theatrically. Another fun story connects to the use of preview screenings to sway content. The movie studio didn’t want Donen to show so many dead bodies, so they agreed to run the film once with the corpses and once without them. Donen and Stone snuck out of both screenings and filled out survey cards to support the more violent version and undermine the less graphic one. You’ll find many more interesting tales in this truly worthwhile and entertaining commentary. Inside The Films of Stanley Donen we find an introductory career overview from Donen biographer Stephen M. Silverman and then get a short biography and “selected filmography”. This nice text offers notes about certain Donen efforts as well as photos. Peter Stone Career Highlights presents an annotated filmography for the writer. In addition to the film’s trailer, the package includes a small booklet. The latter features a short essay from critic Bruce Eder. A frisky and involving comedic thriller, Charade works on virtually all levels. It moves briskly, includes a clever plot, and boasts excellent performances across the board. The DVD offers very solid picture plus average sound and a small collection of supplements highlighted by a very entertaining commentary. Charade definitely earns my recommendation. Note that about 700 different DVD releases of Charade remain on the market. I’ve not seen any of these, so I can’t comment on their quality.